­­The Chicago Runners program is designed to instill the daily habit of running and physical activity during the school day for elementary school students. Each student runs or participates in moderate to vigorous physical activity during PE class or with their classroom teacher for 10-15 minutes a day, three to five times a week. Students earn incentives (i.e. water bottle, notebook, jump rope) as they achieve certain mileage milestones on the virtual marathon website, myCHICAGORUN.org. The Running Mates program is designed to prepare middle school and high school aged youth to run in a local 5k or 4 mile race. Participants learn about teamwork, commitment, and perseverance through a curriculum that incorporates running workouts, goal setting, nutrition lessons, and team-building activities. Running Mates works to break down racial and cultural stereotypes by bringing students from different schools together for training runs, community service projects, local races, and other celebratory events. LACE (Leadership, Action, Community, Endurance) Up! 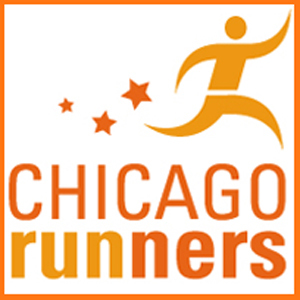 is a program designed for Chicago Run program alumni who were previously involved in Running Mates and/or Chicago Runners and are now in high school. Participants have the opportunity to build leadership, mentoring, coaching, and career-readiness skills that will aid in their success through high school and beyond. In addition, LACE Up! students will continue their commitment to service and fitness by participating in community volunteer projects and running in local races. The Little Strides program is designed to instill the importance of daily physical activity in early childhood classrooms. The Little Strides curriculum uses games and activities to excite young children to exercise. These activities also focus on developing vital gross motor skills that students need upon entering elementary school. Students exercise three to five times a week, each time earning a sticker to fill up the exercise sticker board! Filling up a sticker board will earn each student a Chicago run incentive (pencil, water bottle, notebook). ­­The Summer Strides program began in 2017 with one location in Little Village. The program grew to serve three locations during the summer of 2018: intergenerational families at The Community Builders (Oakley Square Apartments), campers at Christopher House Uptown, and youth in the Little Village neighborhood, all of whom trained for a local 5k race at the end of the summer. Junior coaches who are currently members of our LACE Up! program assist in leading these summer practices. Participants of both programs are invited to 1-mile Fun Run events held twice each school year, once in fall and once in spring. Thousands of students, families, and school staff come together to celebrate running and healthy lifestyles!